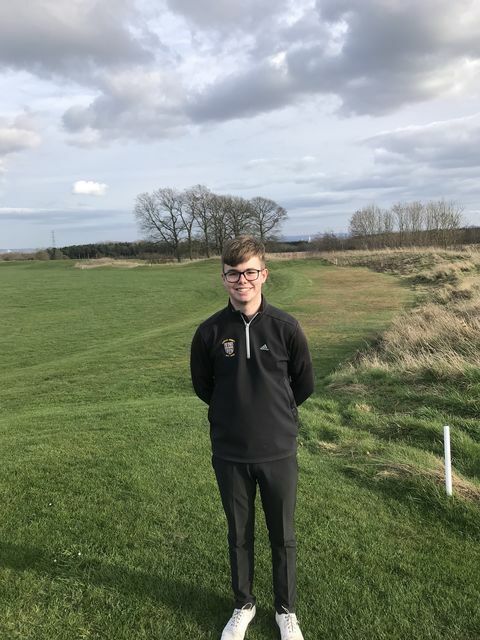 The Durham County Golf Union Juniors' aim is to provide Competitive Golf for Boys and Girls under the age of 21, and who are members of Golf Clubs in County Durham. In July 1963 an English Golf Union (E.G.U.) memorandum concerning Junior Golf was received and shortly afterwards Rowland Drake, Northern Representative of the E.G.U. Youth Sub Committee gave the Committee an interesting and informative talk on the formation of a Union Youth Selection. This resulted in the Chairman suggesting that all Clubs should be asked to form Junior Sections and appoint an interested member who would be willing to attend a future meeting, where it was hoped to form a County Junior Section. The response from the Clubs was encouraging with Dr. J.J. Kinsella (Committee Member) agreeing to act as Liaison Officer fro the Union on any committee that may be formed. At a meeting held at Brancepeth Castle Golf Club on the 7th May 1964, the Durham County Junior Golfing Society was formed. It was pointed out as there would be no income forthcoming in the current year, the Junior Society would require financial assistance, so the new section was allocated the sum of £20. Several fixtures against other Counties were arranged, with J.V. (John) Todd (President) agreeing to provide a Trophy in 1964 for a Junior Society Championship, with another Trophy to be provided by the Union for a Match Play event. Later that year another Trophy was kindly presented to the Society by the Durham Ladies. The Junior Team which played against Northumberland in April 1965 was as follows: - H. Ashby (Consett), J. Thomas (Ravensworth), J. Naisby (Wearside), D. Goss (Boldon), J. Webster (Eaglescliffe), D.H. Stewart Eaglescliffe), J. Ord (South Moor), B. Webb (South Moor), A. Doxford (Hartlepool), A. Rea (Whickham), R. Young (Chester Le Street), N. Hanmill (South Shields). The first year of the newly formed County Junior Society was most encouraging: the total membership was 119, which included 14 girls, with Juniors having a handicap of less than 12. The Society played against Yorkshire, Northumberland (twice), Cumberland and Westmorland, winning three and losing one. The Juniors had a most satisfactory and positive start under the guidance of Dr. J.J. Kinsella, later as appeal was launched asking all clubs for a fee of 10 shillings and six pence per annum. As the Society developed, it acquired a full fixture list and received generous financial support from the Union and Patrons. Jackie Ord achieved a magnificent treble when winning the Junior Championship, Junior Match Play Championship and the Northumberland and Durham Championship. Doug McClelland was chosen to play in an English Youth International against Scotland in 1968, then after winning both the County Championship and Nelson Jubilee Medal the following year, he was again included in the England Team against Scotland and Europe. In 1989 the Society Treasurer Jack Golightly retired, later followed by Jim Crombie (Chairman), both had been in office for a 25 year period. Throughout those years their able guidance had been largely responsible fro the ongoing success of the Society, with both men being rewarded by seeing many of their proteges developed into Championship winners and County representatives. Since then this Society, which is of extreme importance to the future of the game has continued to instill into boys and girls the etiquette of golf. The annual programme of events and competitions which has been especially designed to encourage the participation of youngsters of all handicaps is constantly being upgraded. In December 2017 what was known as the Durham County Junior Golf Society (DCJGS) became a separate committee under the Durham County Golf Union (DCGU) to help strengthen the pathway for junior playing competitive golf within County Durham.